Beautiful views, great food around the corner to the right, very central where you can walk everywhere. Where to find Corvera de Toranzo hotels near an airport? Where can I find hotels in Corvera de Toranzo that are near tourist attractions? 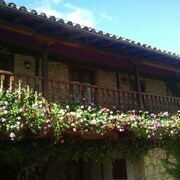 Arranging time in Picos de Europa - Cantabrian Mountains and would like to stay in Corvera de Toranzo? Corvera de Toranzo has 4 quality hotels within a 0.1-kilometre (0.06-mile) radius of the heart of town. If you want to stay within a short drive from the center of Corvera de Toranzo, the Hotel Balneario De Alceda may be a good place to check out. 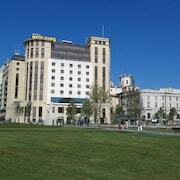 You could try the Eurostars Hotel Real and the Gran Hotel Sardinero. The Eurostars Hotel Real is situated 30 kilometres (20 miles) from the center of Corvera de Toranzo. 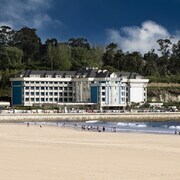 The Gran Hotel Sardinero, is 30 kilometres (20 miles) away. If you'd prefer, you could make a booking at the Parador De Santillana De Gil B or the Castilla Termal Balneario de Solares. Spend some time exploring Palacio de Elsedo and Fluviarium Lierganes, which you'll find in Lierganes, 20 kilometres (13 miles) to the northeast of Corvera de Toranzo. 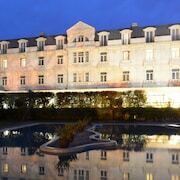 If you'd like to visit Lierganes, be sure to check out the Hotel Miera and Gran Hotel Balneario de Liérganes. 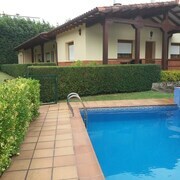 Alternatively, you could stay in Puente Viesgo, 10 kilometres (6 miles) to the north of Corvera de Toranzo, where you'll find the Gran Hotel Balneario and Hotel Villa Arce. The Las Monedas Caves and El Castillo Cave are just some of the more popular places to see should you visit Puente Viesgo. Before you head home, consider spending a few hours hanging out with fellow sports obsessives at a local game. San Mames Stadium is 80 kilometres (51 miles) to the east of Corvera de Toranzo. 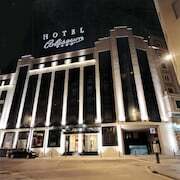 Stay right near the action at the Gran Hotel Domine Bilbao or the Hotel Miro. Santander Airport is a logical airport for flying in and out of Corvera de Toranzo. It is 25 kilometres (16 miles) drive away. If you choose to stay nearby, try the Vincci Puertochico or Hotel Bahia. What are the most popular Corvera de Toranzo hotels? 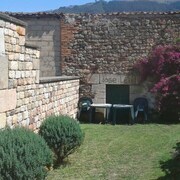 Are there hotels in other cities near Corvera de Toranzo? 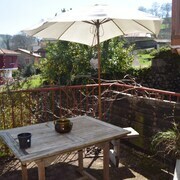 What other types of accommodations are available in Corvera de Toranzo? Explore Corvera de Toranzo with Expedia.ca’s Travel Guides to find the best flights, cars, holiday packages and more!